Today I set the date for our Little Free Library dedication. The library, or LFL, went up in January. I shared the news by Facebook and email but didn’t do anything ‘official’. In February, the LFL listed on the global map, another fun milestone. March was our ‘rainy’ month and then we had the sprucing up of the curb garden. So, here it is mid-April, with our dedication ceremony set for May 17th. I’m excited. The Mission of the non-profit Little Free Library movement is to promote literacy and the love of reading by building free book exchanges worldwide, and to build a sense of community as we share skills, creativity and wisdom across generations. 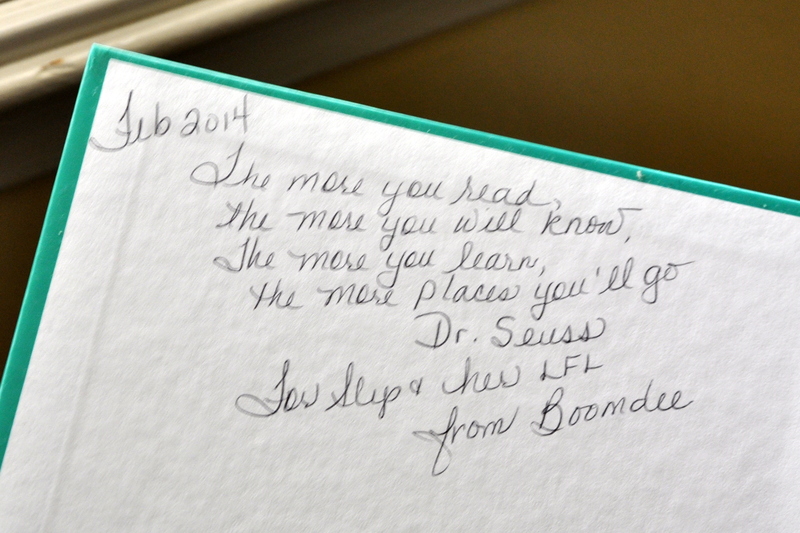 I’ve dedicated the LFL to Debbie Hughes Judge and Carolyn Sullivan, life-long readers and teachers. They offered support and guidance as we piloted a Books-at-Home program at our grade school, a program created to serve disadvantaged readers. They will be guests of honor at our ceremony. We’ll serve light refreshments and give out free bookmarks to all the attendees. 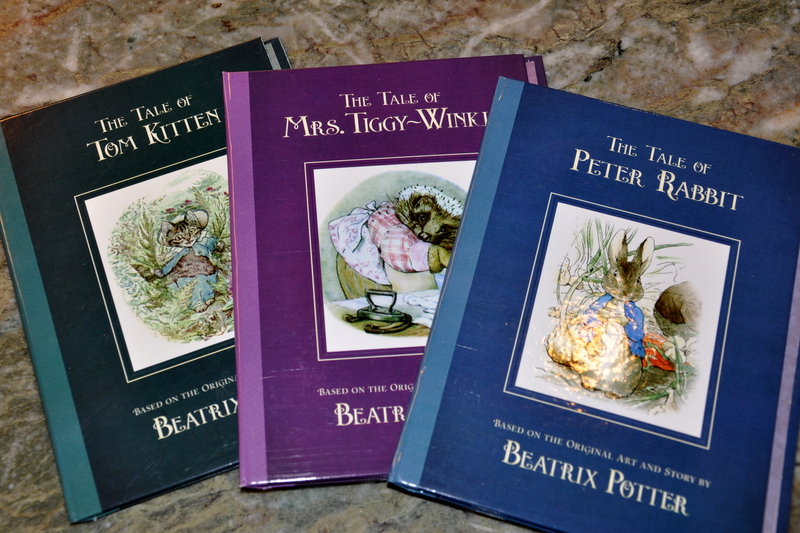 I found tiny Beatrix Potter books at our local Target in the dollar bins. When I tried paying for them, they said the books weren’t available for sale yet, and they returned them to the stock room. Have you every heard of such a thing? I was just sure I would miss out, but through a fortunate stroke of serendipity, I found them again a month later and quickly snapped them up. I loved these little books as a child. The originals came out between 1902 and 1922. Beatrix Potter was a woman ahead of her time, an early environmentalist responsible for preserving the beautiful Lake District in Northern England. The more places you’ll grow. Through another stroke of serendipity, my mother gave me a copy of the Dr. Seuss book she quotes from when I graduated from college. If you’ve never read Oh, the Places You’ll Go head to your nearest library, STAT. 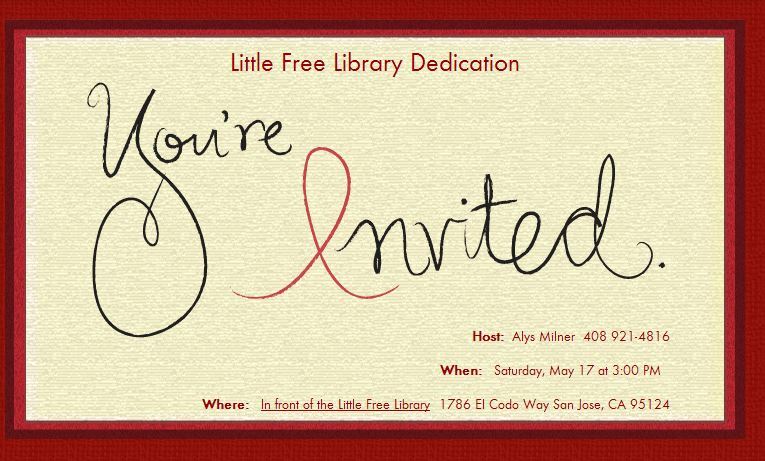 This entry was posted in Little Free Library and tagged Beatrix Potter, children's books, dedication ceremony Little Free Library, Dr. Seuss, little free library san jose, little free library silicon valley, P.D. Eastman, reading. Bookmark the permalink. Thanks so much for your support, Pauline. You are such a dear. I will take plenty of photos and will know that you are here in spirit. It would be so lovely to have you. And thank you so much for offering to send an Australian book. That would be delightful. Yes, the world according to Dr. Seuss. He was a man ahead of his time. I wish you were closer, too. You’ll be with us in spirit. Thanks, Jasmin. May 10th was an early possibility, then we confirmed May 17th. I’ll publish a correction. You’re so funny! I’ll try to get video. We will call him Clark . . . He will grow and grow . . .
We don’t know . . .
Beatrix Potter is still a favourite of mine, too. My first mother in law was born a Potter and had some connection with Beatrix. I love that my boys are connected, and through them, I consider myself linked, too. She was a marvellous woman and there is an excellent biography of her called The Tale of Beatrix Potter by Margaret Lane (1946). I like that Boomdee chose a book with aqua covers 🙂 So like her, isn’t it? Lynn, thanks so much for this newsy comment. 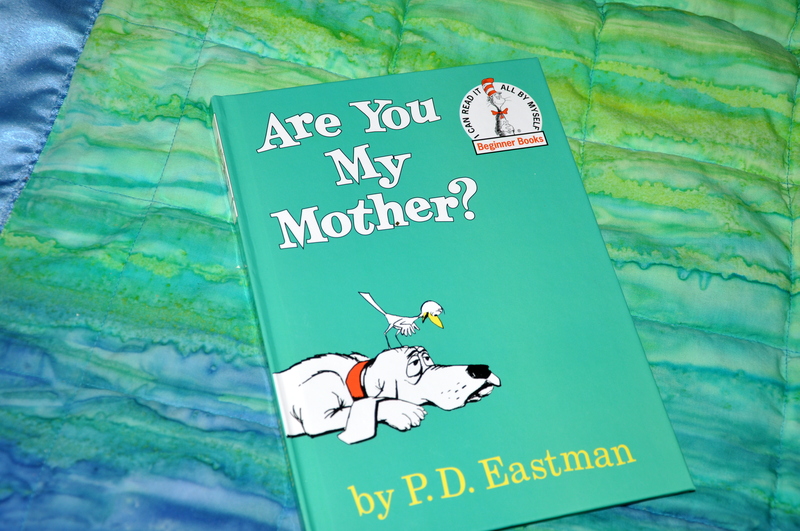 What fun to know we have similar love of childhood books and that you, too, read them to your children and grandbabies. Dr. Seuss was brilliant as far as I’m concerned. It’s easy to forget how unique his books were when they first arrived on the scene. Beatrix Potter, too, was ahead of her time. We saw the movie they made of her story, with Rene Zelweger. It was a charming story, but sad too. Thanks for the recommendation. Yes, an aqua book was not entirely unexpected! I’m so excited for you! How thrilling to have an actual dedication ceremony. My heart will be with you and look forward to the photos. I so loved the Miss Potter movie, I bought it and watch over and over. Makes me cry every time. 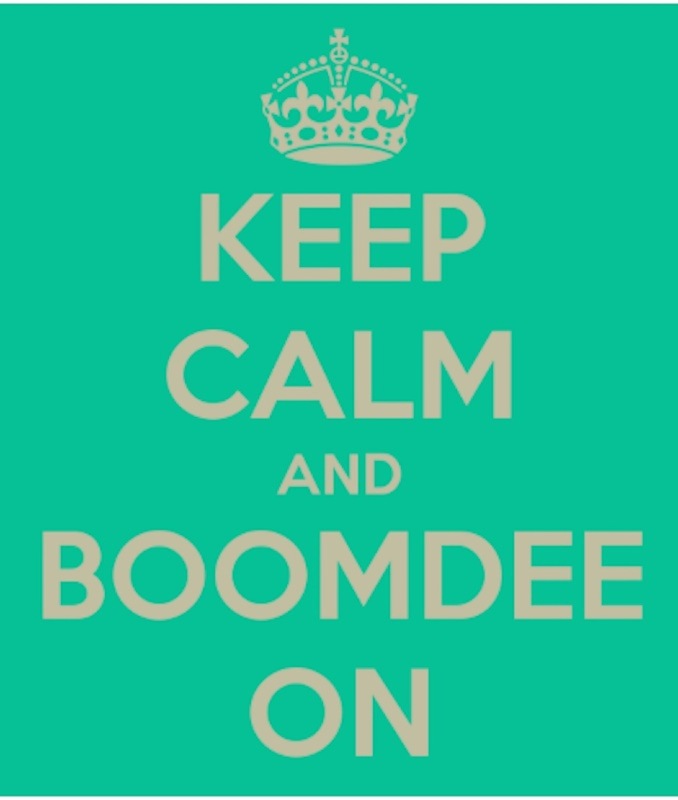 🙂 What a sweet thing for Boomdee to inscribe in the Aqua book. I would hate to see that book disappear but I guess the sentiment never does. May is just around the corner!!! Holy Moly! Hugs. Thank you, Marlene! I will definitely get someone to take pictures. I’m nervous and excited at the same time. I like hosting gatherings, but I’m not a fan of public speaking. It will be good for me though. Miss Potter is a lovely movie and definitely a tear-inducer. I wish they made more films like it.